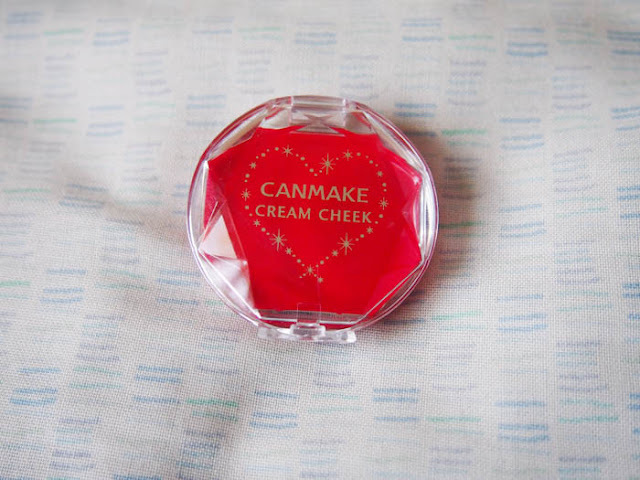 This is my first cream blush and I must say I really enjoy how easy it is to use. Great option for beginners. Red blush can be used to create Zipper model AMO's byojaku (sickness) or the Igari 'hangover' makeup trend popularised by Igari Shinobu. Pat a dot of the blush directly under your eyes and blend outwards for a pretty flush. I love it. 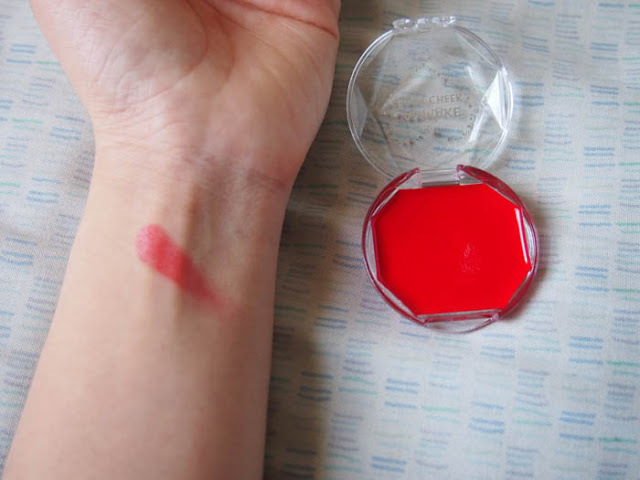 You can also use this cream blush as a base for a powder blush. The blush does wear away quickly and can't last throughout the whole day. I'd say it wear off after three to four hours so you may want to bring this around with you to re-apply. I've only used this blush for seven months and it's already showing a big hole in the pan. I would repurchase from this line though I might try the newer, deep Cherry colour.